Bright Lights, My City: Giveaway: Tickets to The Big Cheesy! My favorite cheese dish in New York would have to be the mac and cheese from Dumont. Touch call though. I have dreams about the fig and brie mac and cheese from S'Mac! 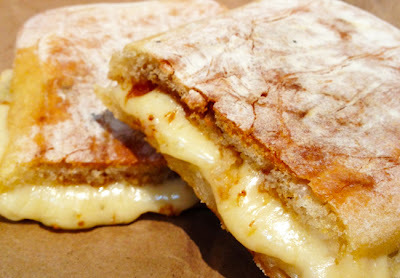 I'm a pizza girl through and through, and I LOVE grilled cheese, I work near Melt and have to stop myself from going there daily for their grilled cheese with truffle oil sandwich! Would love to attend this awesome event! I have to say the Grilled Cheese from Beecher's is kind of to die for. As is their Mac 'N Cheese!